If you can dream it, we can build it. 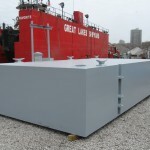 Together, we bring your vision to life by following a comprehensive process that ensures your floating platform project is customized to fit your needs and is built to exceed your expectations. An isolated area of the park lacked adequate restroom facilities for boaters and campers. 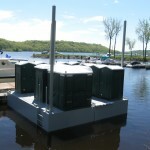 Construct and install floating restrooms for visitors, meeting environmental and accessibility needs.